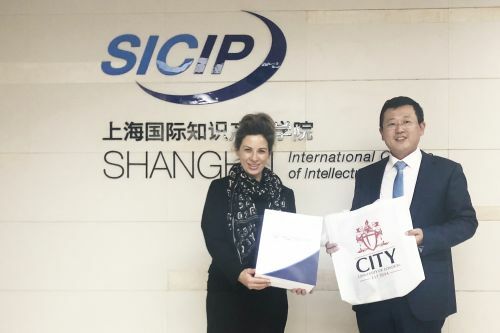 As part of City's all-faculty delegation, Professor Elaine Fahey visited Law Schools in Shanghai and Hong Kong. 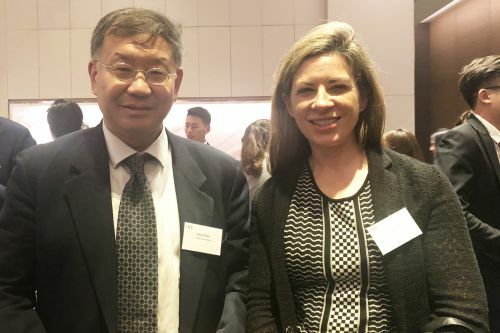 Professor Elaine Fahey, the City Law School's Associate Dean for Internationalisation, travelled as part of a School-wide delegation of 14 academic and professional services staff to Shanghai and Hong Kong in November 2018. Professor Fahey met with Associate Dean International Professor Cheng Jinhua of KoGuan Law School, Shanghai Jiao Tong University (SHJT); Professor Yu Xinmiao Dean of Tongji University International College of Intellectual Property, (SICIP) and; Professor Christopher Gane, Dean of the Chinese University of Hong Kong Faculty of Law (CUHK). 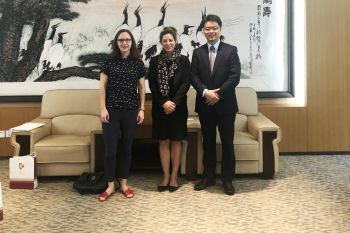 The City Law School also hosted its stakeholders and alumni at annual University hospitality events in Shanghai and Hong Kong, allowing the School to make connections with former visiting research scholars and current City Law School academic staff collaborators.